The focal length of your lens and the resulting perspective that it gives is the most important decision when buying that special prime or all encompassing zoom. Its not just about fitting it all in or being able to capture distant skirmishes in the savannah. There’s actually a good reason why a photographer with an ultra-wide angle will still want to get as close as he can. Probably the same photographer who needs no more than a 180mm to fill his 35mm frame with the face of a Snow Leopard. Why is this so important? Well, because it dictates the feel of an image and can completely change its perspective. For the more technically keen, the actual focal length of your lens (the numbers engraved on the front) is the distance between the lens and the film plane when focused on a subject at infinity. 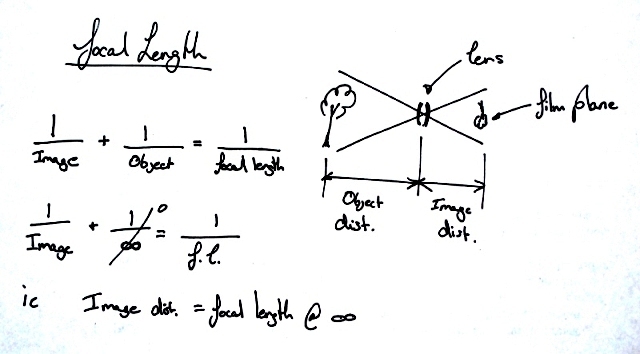 This also means that the focal length is equal to the image distance when at infinity. The formula below should help explain this.